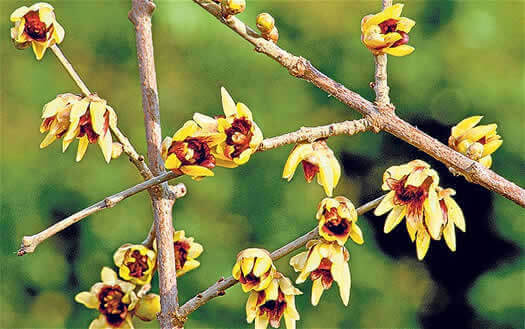 This small deciduous tree has beautifully scented waxy yellow flowers with maroon centres in clusters. This tree is great to cut and use indoors in vases, or as a species tree or shrubbery plant. Also nice to plant near a window so the beautiful perfume can come inside.